From one of America's leading experts on innovation comes his classic guide -- now updated for the new millennium! Are you bringing yesterday's attitudes into today's world? The difference between understanding tomorrow and today is the difference between success and failure. 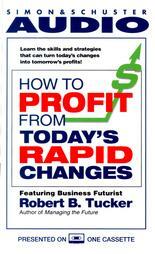 Robert B. Tucker shows you how to look ahead -- and to get exactly where you want to go!